Use a Pedal Power AC and this 4-Pin DIN connector cable to power the Voodoo Lab GCX Audio Switcher or System Mix Plus. Please allow an extra two weeks for delivery of this hand-made cable. 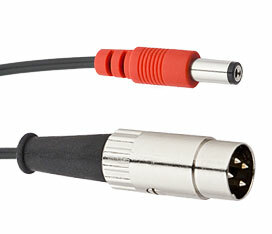 To order a custom length cable (up to 36in/ 92 cm), please call Voodoo Lab Technical Support at 1-707-545-0600.